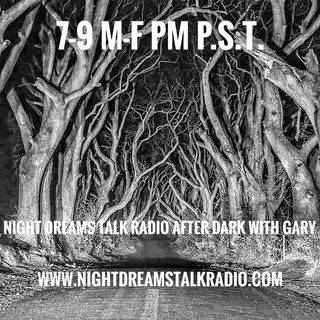 "Night Dreams Talk Radio After Dark With Gary Gives you the best in paranormal talk radio! 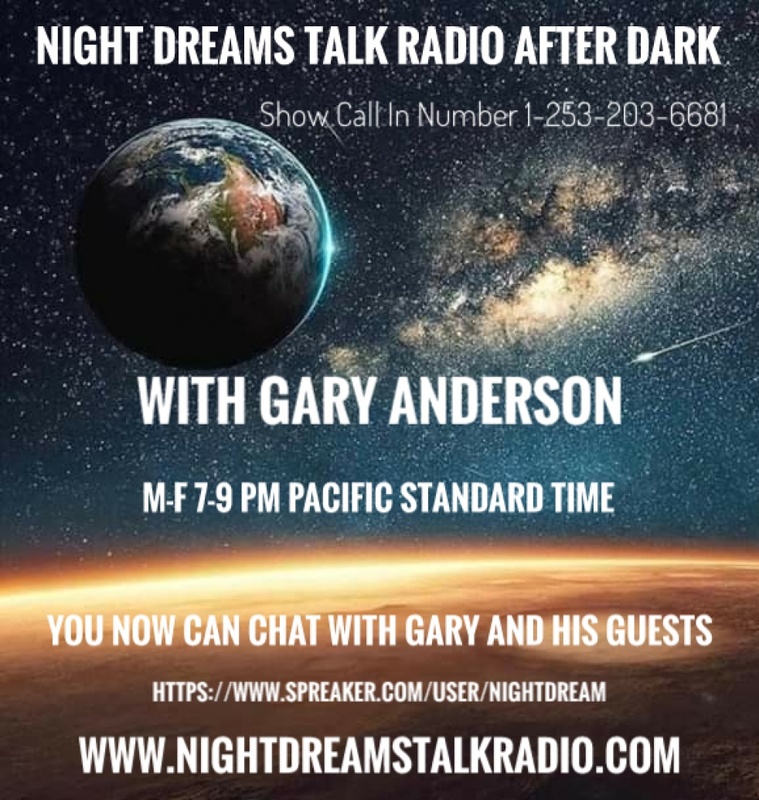 Gary covers all things paranormal Such as UFO'S, Bigfoot, Mothman, Aliens, And so much more! With major guest each week night from 7-9 pm Pacific Coast time 10 pm -12 pm Eastern time!